Which Vehicle History Report is Right for You? Buying a used car or truck is a great way to save money, but sometimes you end up paying for other people’s poor maintenance and driving habits. To avoid potential issues with purchasing a used car, it is essential that you bring your car to a mechanic for a pre-purchase inspection. While a mechanic will be able to check the current condition of the car, it is also helpful to know the car’s history. There are many public resources available that you can use to find a detailed history about the car you are about to purchase. The National Motor Vehicle Title Information System (NMVTIS), a division of the U.S. Department of Justice, was founded to help keep stolen cars from re-entering the market. But it’s also a very handy tool for checking the history of automobiles. They do not provide reports themselves, but instead offer a list of licensed private providers on the NMVTIS website. These services are often no more than a few dollars to use. A report generated through a NMVTIS provider includes several important details about a used car. The first is the odometer history of your car, so you can compare and see if the number of miles matches the number being advertised. The report can also tell you whether an insurance company has written the vehicle off previously as a total loss due to an accident or damages from a natural disaster, including flood damage. Cooperation with the NMVTIS is mandatory for all insurance carriers and junk yards. Some companies offer more in-depth reports of a vehicle’s history for higher rates. AutoCheck is one such example. Their scoring system is designed to let you see how the car you are researching compares to other similar cars in its class. CarFax will provide you with a collision report number, which you can use to request a collision report from law enforcement, although the report will not provide extensive information about the damage sustained by the car. Another reason the NMVTIS was created was to put a stop to car sellers picking up vehicles that suffered flood damage in one state and moving them to another in order to wipe the slate clean and mislead consumers. Nonetheless, the NMVTIS doesn’t override any of the language or categorizations used in each state’s reporting, so a vehicle may qualify as junked in one state but not in another. To help sort this out, you can submit a form for a vehicle’s state motor vehicle record and contact your local motor vehicle administrator with questions about the report. The American Association of Motor Vehicle Administrators offers a list of each state’s contacts for requesting a state motor vehicle record. If you’re buying a used truck for work, there are specialized companies that can help you. RigDig is one of them. Not only do they track basic NMVTIS information, but also information from working truck-specific agencies such as the Federal Motor Carrier Safety Administration. Safety is a major concern for commercial truck operators, and companies like RigDig help to keep drivers and other motorists as safe as possible. If you think the seller is attempting to sell you a stolen car, the National Insurance Crime Bureau’s service VINCheck allows you to check a vehicle’s VIN number through criminal databases. Even better, VinCheck is completely free to use. 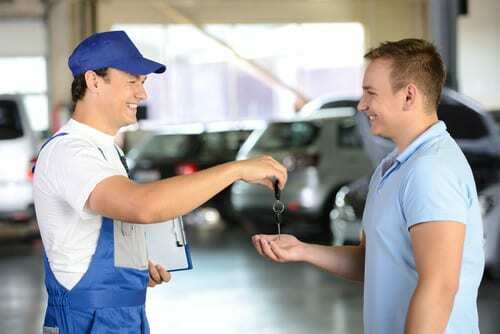 It is always a good idea to have a used car you’re considering buying checked out by a mechanic that you trust. Colony One Auto Center offers pre-purchase inspections that cover the entire vehicle and its systems. Before you buy a pre-owned car or truck, bring it to Colony One Auto for an inspection by one of our ASE-certified technicians.